The i-MBA Career Office is pleased to announce the organization of a company visit at Vodafone premises. The visit will take place on Monday, March 23rd, 14:00 to 17:00. During the visit, i-MBA students will have the chance to get to know different functions of the company, like finance and marketing. Moreover, the Talent & Resourcing team will present Vodafone’s “Discover Program”, while two i-MBA alumni, who work with Vodafone, will share their experience from their participation to it. To register, please send an e-mail at itranou@aueb.g r or contact us at 210 82 03 669. 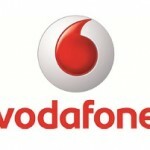 Vodafone Greece is a member of Vodafone Group Plc, one of the world’s largest mobile communications companies by revenue. Vodafone Greece has a technologically innovative telecommunications network that stands out by its reliability, quality, high speed mobile internet and extensive 3G and 4G coverage. Vodafone Greece’s continuous investments in network allow its subscribers to enjoy fast and high quality mobile internet, at any moment, no matter where they are. As part of a continuous network development plan, Vodafone commercially launched 4G+, thus reaching all time high speeds in the Greek market and showcasing once more its leading position in innovation and mobile communication technology. Part of Vodafone Greece’s wider investment plan is the acquisition of Hellas online, which speeds up the company’s strategy to provide integrated mobile and fixed communication and broadband internet services. Vodafone has a robust commercial retail network nationwide comprised of Vodafone branded shops and commercial partnerships with other distributors and retailers. 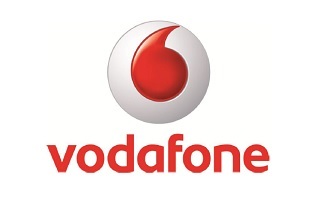 Having set as a priority to meet the subscriber’s needs for integrated communication, Vodafone provides a range of quality leading and innovative products and services, while applying Sustainability principles to all aspects of its operation.